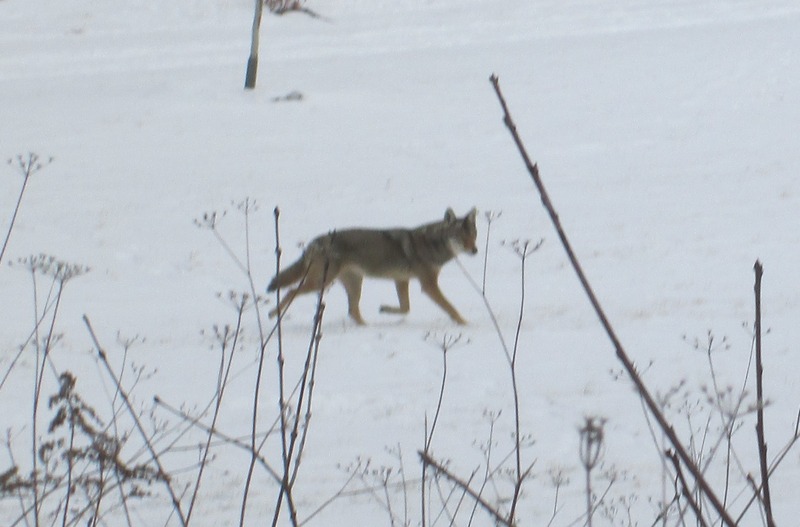 Presented below is a gallery of animal pictures taken during the first 100 hikes on the Hiking the GTA adventure. On July 21, 2015 I published my 100th post in this blog under the title Hiking the GTA #100 – Greatest Treks. That post looked back at the creation of Hiking the GTA and listed the top 15 hikes as determined by activity on WordPress. This post presents some of the amazing animals that we encountered along the way. By hiking quietly and keeping off of the beaten path you have the opportunity to come face to face with some of the wide variety of wildlife we share our parks with. 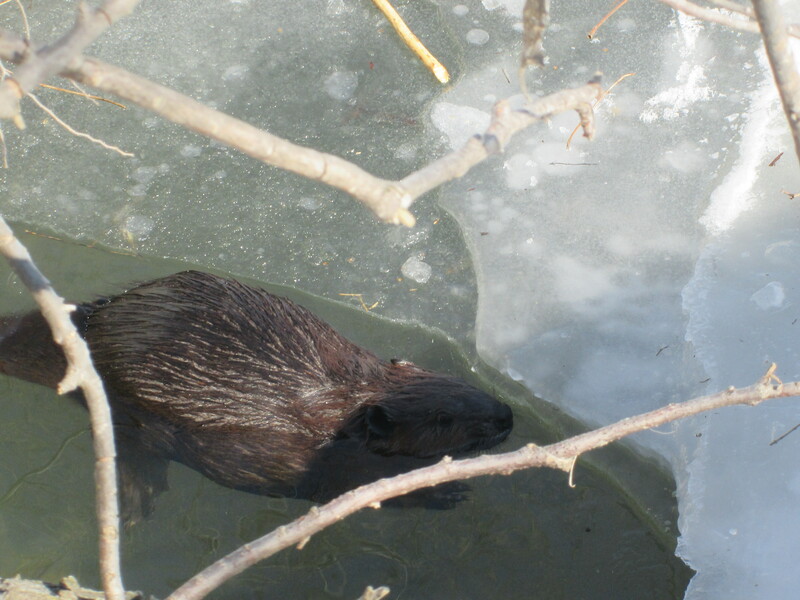 Most of the animals are more afraid of you than you are of them and will disappear quickly. 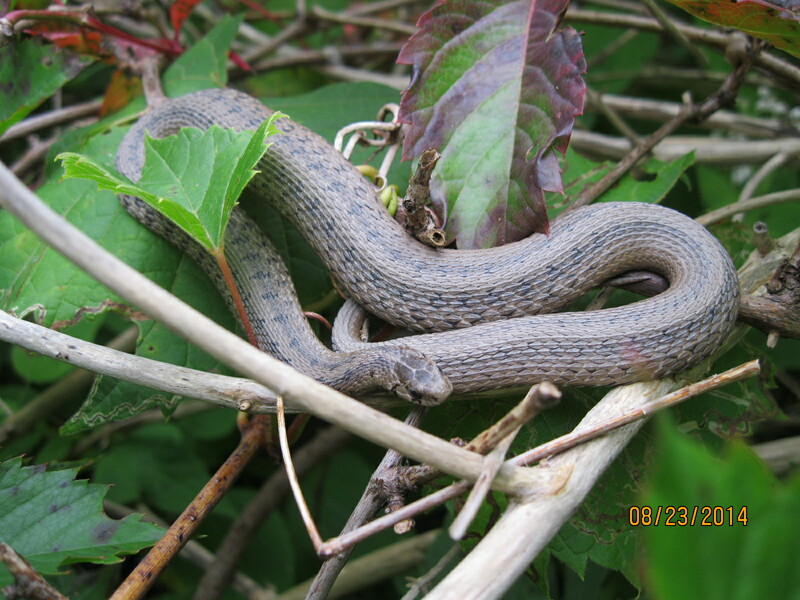 In reality some of the plants in our parks are more dangerous than the wildlife. The following pictures are in the order in which I took them except that I saved my personal favourite for last. Links to the related articles are provided where additional descriptions of the animals are presented. 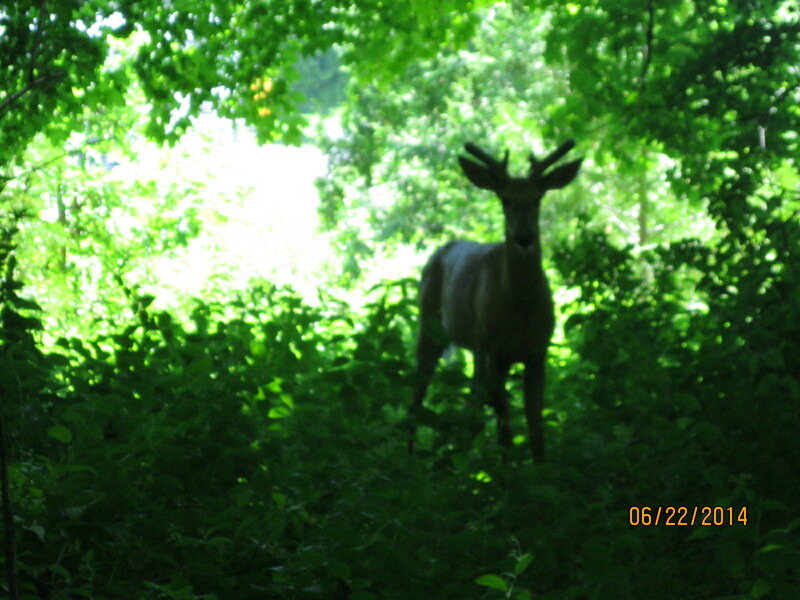 This White Tail Deer buck was following me through the woods along Wilket Creek on June 22, 2014. This was the only creature I saw all year that made me nervous as I’m usually the one doing the following. 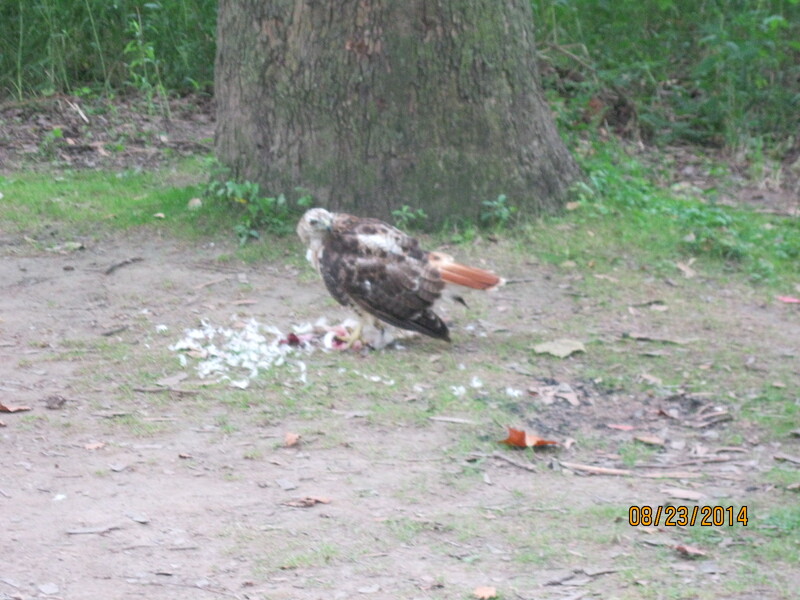 This Red Tailed Hawk was feasting near Barbertown on Aug. 23, 2014. 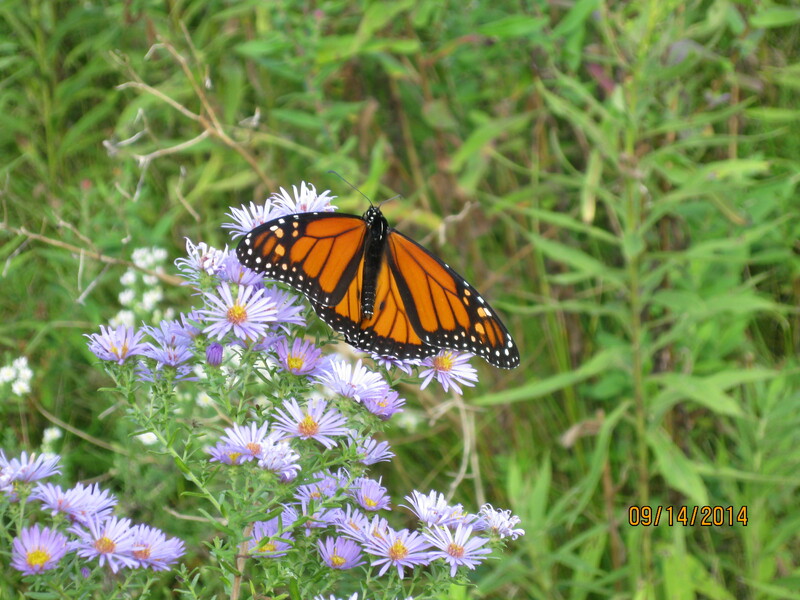 The Monarch Butterfly below was seen at the forks of the Don on Sept. 14, 2014. 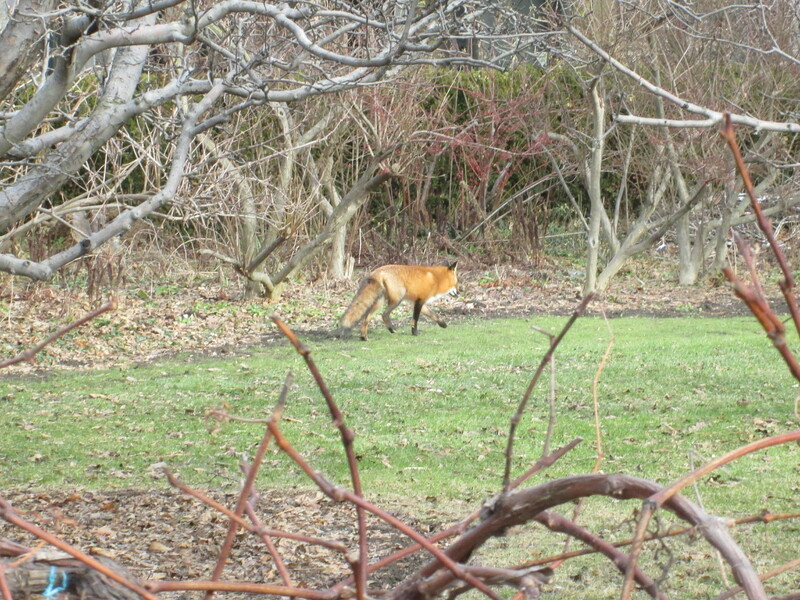 Spadina House has it’s own resident fox as photographed on Dec. 21, 2014. 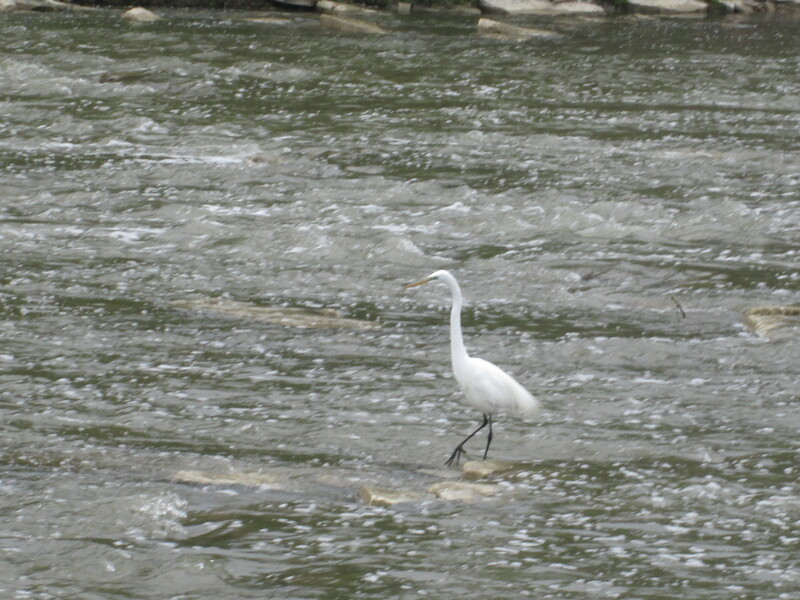 This White Egret was fishing near the dam at The Old Mill on May 10, 2015. 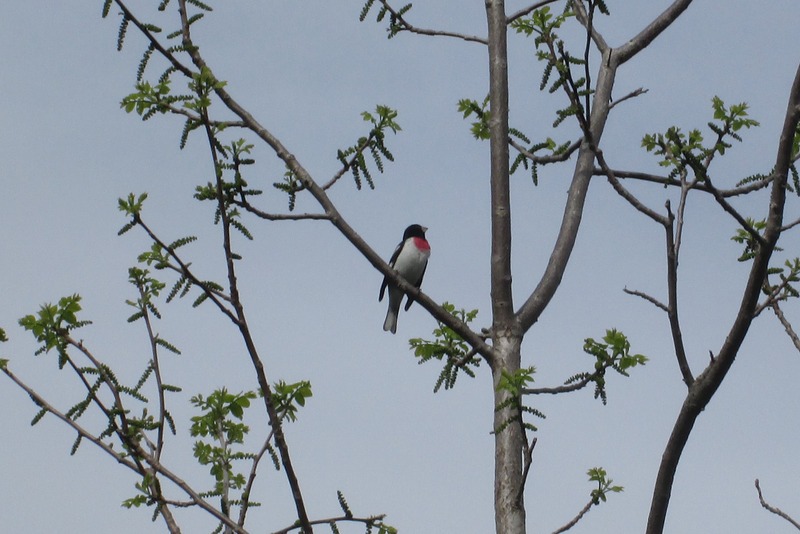 The Red Breasted Grosbeak below was photographed in Norval on May 16, 2015. 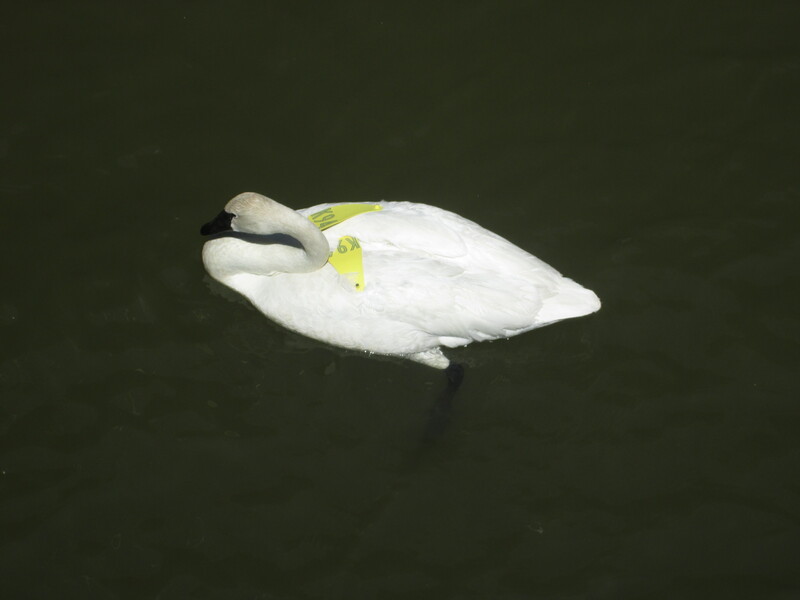 This Trumpeter Swan, complete with tracking tag, was seen at the mouth of the Credit River and featured in The Ridgetown – Port Credit on May 23, 2015. 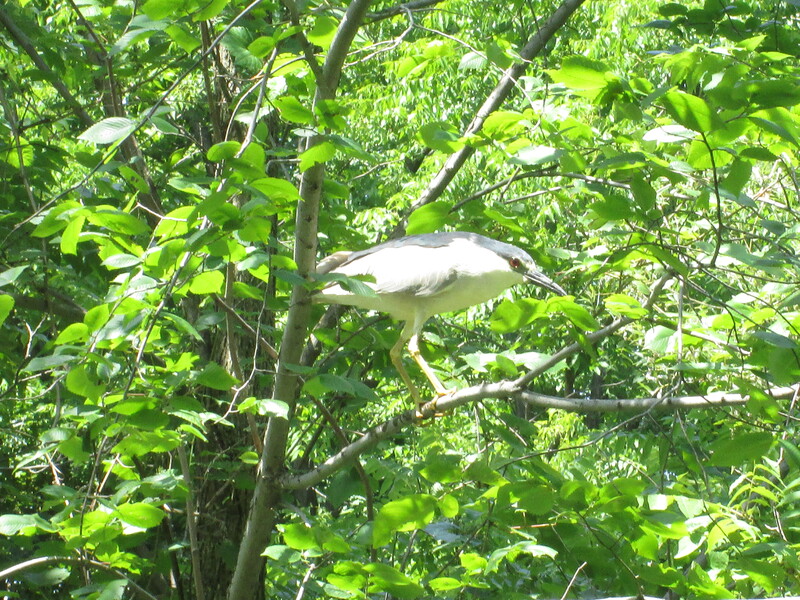 This Black-crowned Night Heron was published in The Forks of the Credit – The Stone Cutter’s Dam on July 18, 2015. Unlike the Great Blue Heron in the cover photo it does not have long legs and neck. 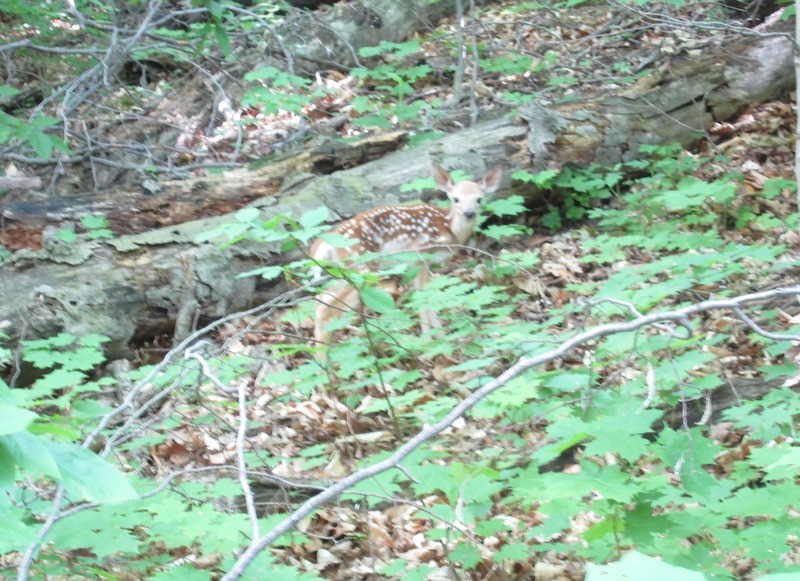 Hiding in plain sight in the picture below is a new born White Tail Deer Fawn. This is my favourite picture of the past year and was taken near the Barber Paper Mills on June 6, 2015. This is just a sample of the some of the amazing animals we saw on our journeys in the first 100 hikes in this blog. Many others were featured and many more will yet be photographed on future hikes. 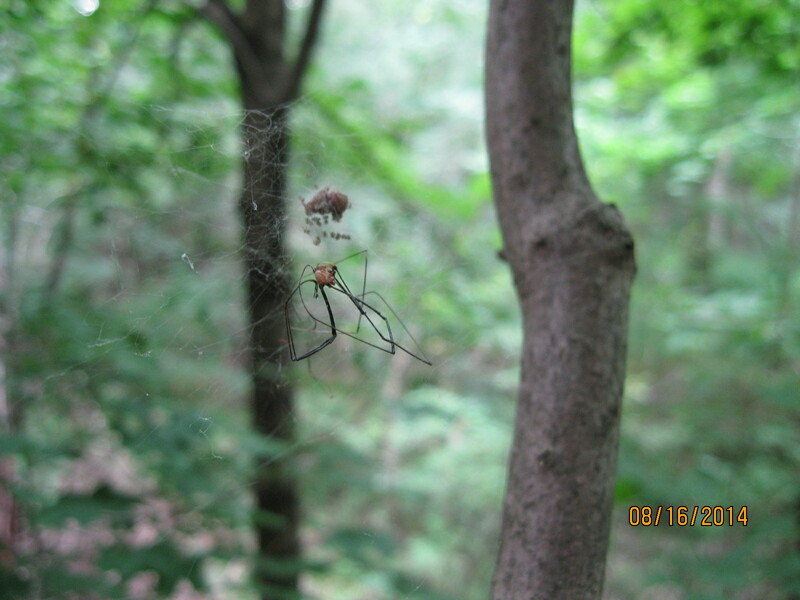 This entry was posted in Credit River, Don River, Humber River and tagged beaver, Black-Crowned Night Heron, coyote, cross orb weaver spider, dekay's brown snake, Egret, fox, Great Blue Heron, monarch butterfly, Red Breasted Grosbeak, Red Tailed Hawk, Snowy Owl, Trumpeter Swan, White Tail Deer on July 22, 2015 by hikingthegta.